Prague (Czech Praha), the capital of the Czech Republic (Czechia), has 1.2 million inhabitants and is situated on both sides of the Moldau (Vltava) river. 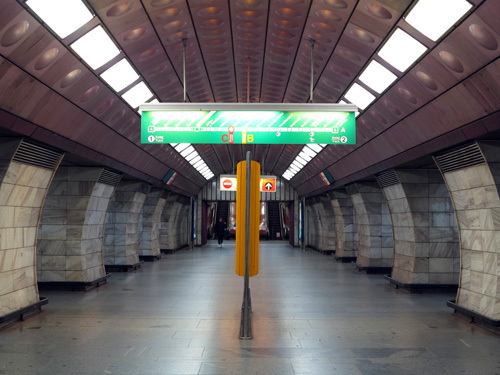 The Prague metro system follows the common Eastern European model with three basic lines forming a triangle in the city centre and tunnels very deep below street level. 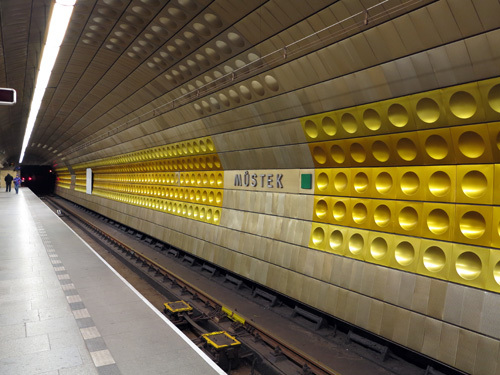 Due to heavy flooding in mid-August 2002, the Prague Metro was closed for several months along the central section (deep stations). Service was maintained on all outer branches. 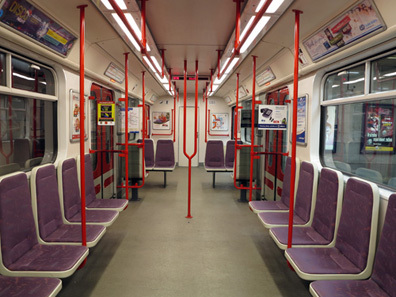 After the last of the original class 81-71 trains was withdrawn from service in July 2009, line A (35 trains) and line B (52 trains) are operated with modernised trains of class 81-71M, and line C only with new trains of class M1 (53 trains). 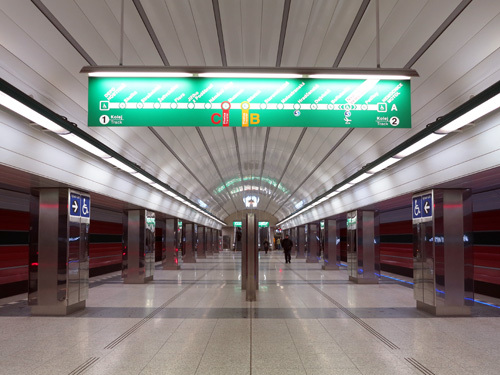 Most stations on Line A and Line B are very deep and of the three tunnel type with long escalators leading to a central distribution tunnel. Line C doesn't run very deep though. Network maps can be bought in one of 6 transport offices. Stations are clean and well ventilated. 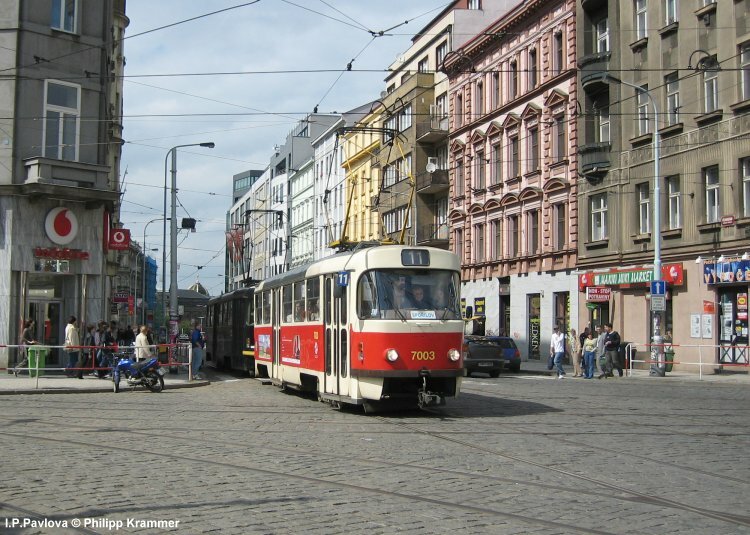 The Prague Transport Museum (Patockova 4, April-Oct. Saturday, Sunday and holiday 9-17h) exhibits mainly old trams and buses, but now it also offers a good survey of the history of the Prague Metro. The western branch of line A (east-west, 17.1 km) (Nám. Míru-Dejvická) opened in 1978 and until 1990 it reached its Skalka. Hradcanská and Staromestská were restored in 1997/98. 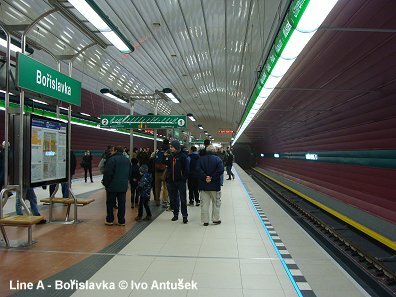 In May 2006, line A was extended by one station (1 km) from Skalka to Depo Hostivar, taking advantage of the tracks leading to the Hostivar depot in that location. 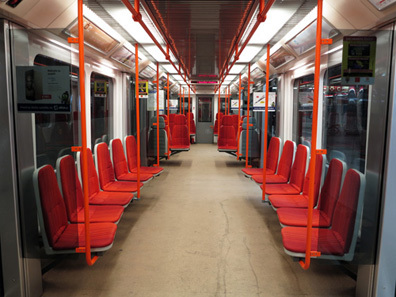 The new terminus is served by every other train. 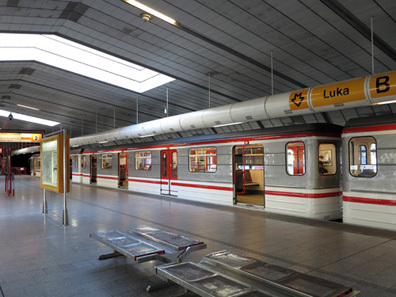 Eventually, in 2015, 37 years after its opening, line A got its western extension to Motol Hospital, with a further extension to the airport postponed. The newest is line B (25.7 km). 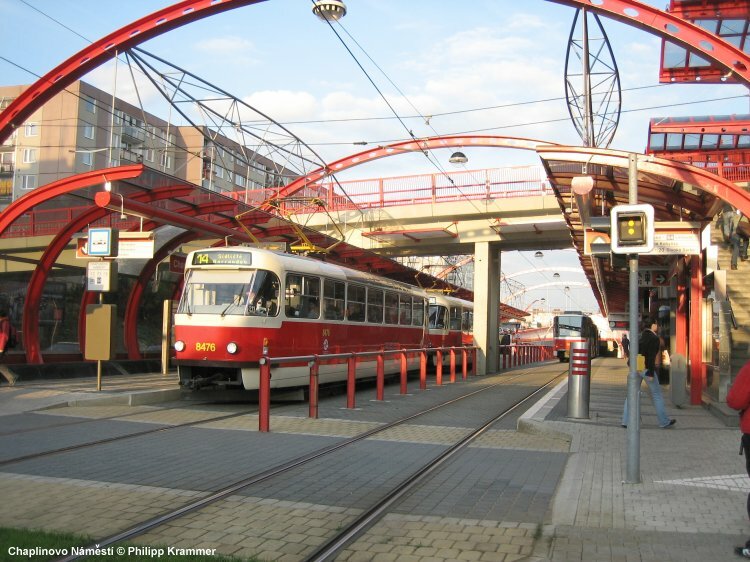 The city section between Florenc and Smíchovské nádrazí opened in 1985, a first extension to the south-western suburbs in Nové Butovice opened in 1988. 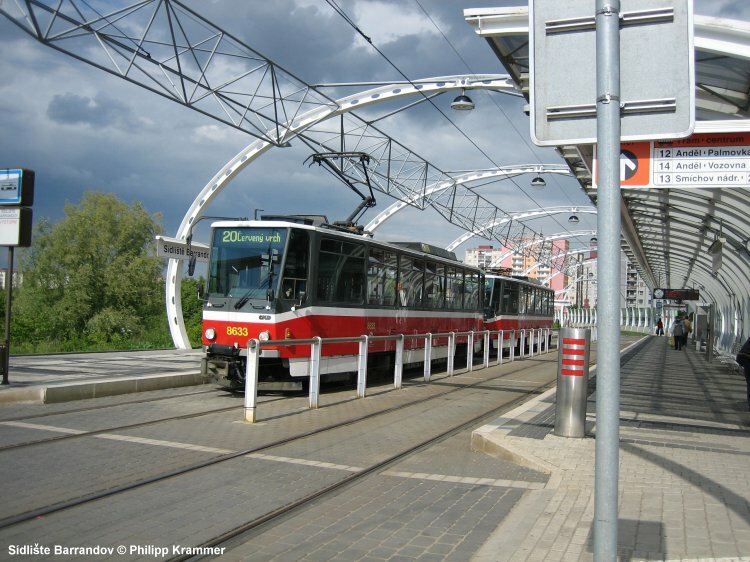 The line grew to the north-east (Ceskomoravská) in 1990, and finally in 1994 to the south-western terminus at Zlicín. 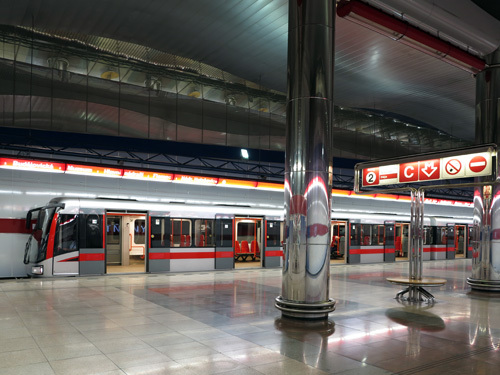 This section is not very deep and some station use daylight. 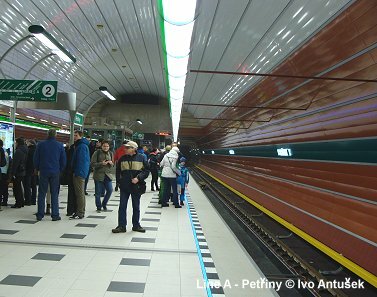 Between Hurka and Luziny there is an artificial science-fiction-like bridge tunnel (see picture below). 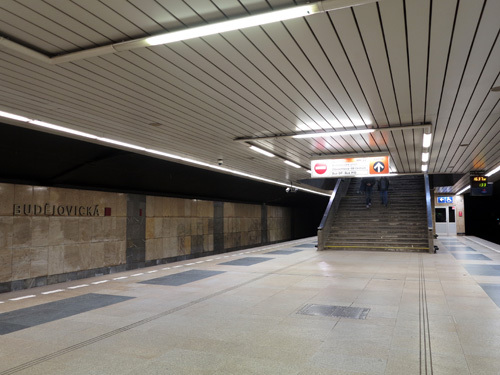 The easternmost section to Cerny Most opened with 3 stations on 9 Nov 1998 (Vysocanská, Rajská zahrada, Cerný Most). 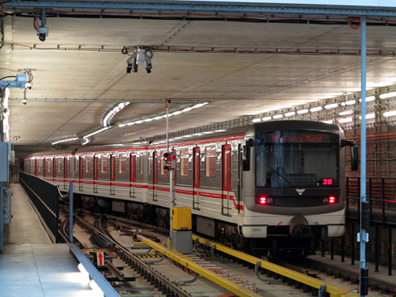 On 15 Oct. 1999 an intermediate station was opened to the public, Hloubetín. 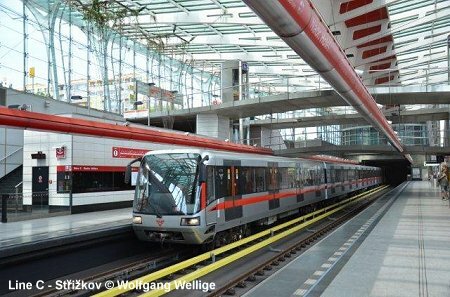 One more station, Kolbenova (planned as CKD) was built between Vysocanská and Hloubetín, it finally opened on 8 June 2001. 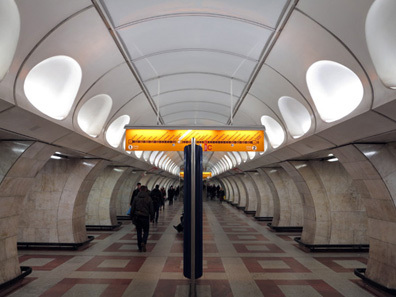 The first section of line C (north-south, 22.4 km) was opened between Sokolovsk� (now Florenc) and Kacerov in 1974. 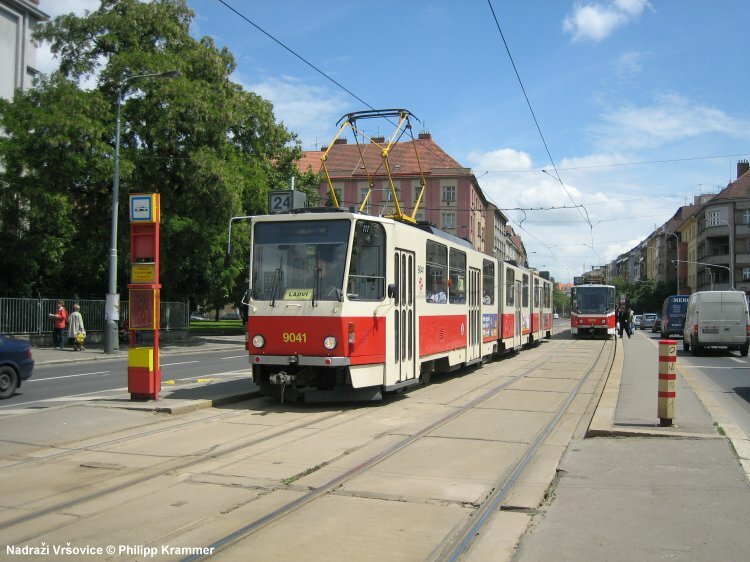 This line continued to Háje in the south in 1980 and crossed the Vltava river to Holeovice in 1984. 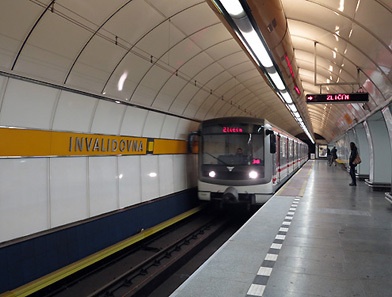 Most stations have a central platform, but not Hlavní nádrazi (Central Rail Station) and Vyehrad (situated inside the motorway bridge crossing the Nusle valley). 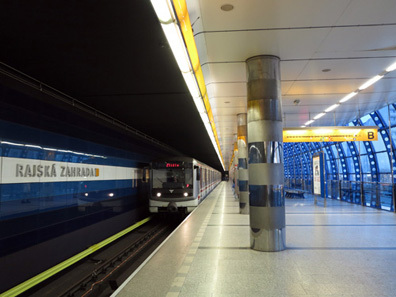 Construction of a 3.9 km line C extension from Nadrazí Holesovice to Ládví began in Sept. 2000 and was completed in June 2004. 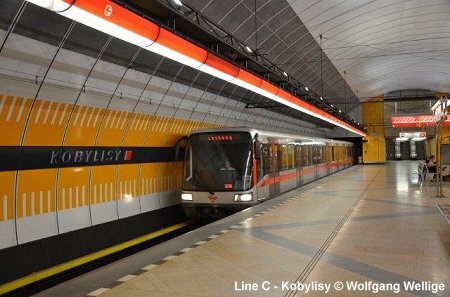 The line crosses under the Vltava river and there is one intermediate station at Kobylisy. 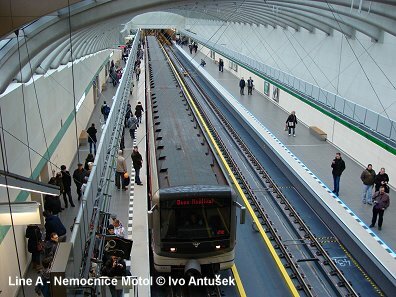 Construction of another 4.6 km line C extension from Ládví to Letnany began in spring 2004 and was completed in May 2008. 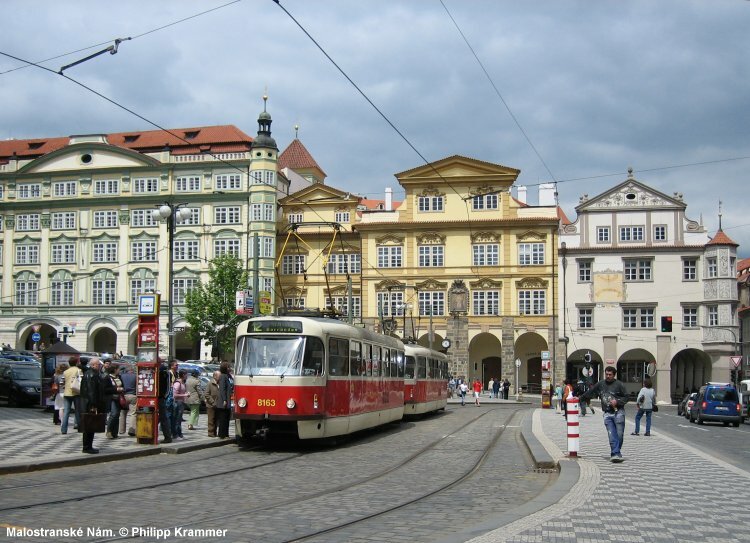 Letnany is the new location of the Prague Fairgrounds. For a detailed map including all projects click here! 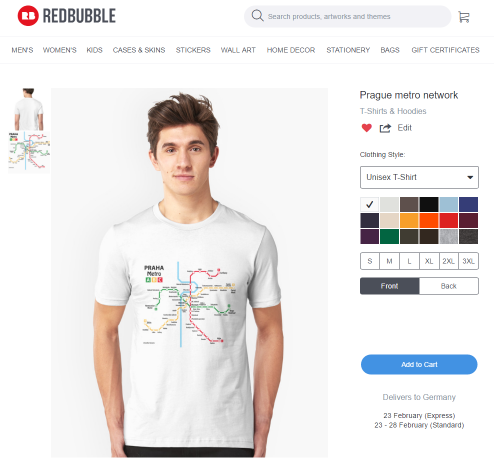 Prazské Metro by Karel K.
Metro Praha Souvenirs - T-Shirts, Mugs, Bags, etc. Click to see full selection of available products! C: Fucikova - Nádr. Holeovice, Gottwaldova - Vyehrad, Mladeznická - Pankrác, Primátora Vacka - Roztyly, Budovatelu - Chodov, Druzby - Opatov, Kosmonautu - Háje.